There is a story about a young girl who was always in trouble in school for getting up, dancing over to the pencil sharpener, and always being on the move. There were meetings held with her parent and she was considered a possible “ADHD” student who needed special services. This teacher did not recognize her greatness. But later, another teacher noticed she was good in the school theater productions and cast her as a dancer. And she had audiences spellbound. She was none other than the future lead choreographer and dancer who later worked with Andrew Lloyd Weber in “Cats,” the longest running Broadway show to date. 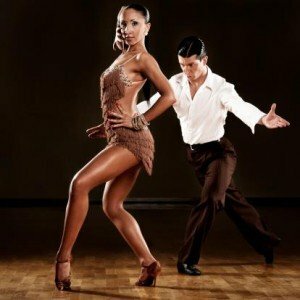 Dancing can be a great career for the person who enjoys expressing them self through movement. Here is some information on how you, too, could get started down this artistic career path. To be a dancer, you must enjoy activity. Dancing professionally, in any form, requires a great deal of energy, enthusiasm, and stamina. Ballet is the most revered form of dance, and dancers who obtain training in this area can gain a lot of recognition by starring in Broadway plays or recitals. But there are many other forms of dance as well, such as tap, jazz, modern dance, line dancing, and many more. Dance is perhaps one of the oldest art forms known to man, and it continues to evolve. A good place to start if you want to pursue a dance career is by obtaining a degree from an accredited school in the arts, Fine Arts, or Dance. It is also advisable to take lessons from a private teacher, or attend a local theater or school of ballet in your area to get the skills needed to pursue this. It helps to have some natural talent as well! A 4-year or 2-year degree in Fine Arts, Dance, or other similar track would be the best route for someone wanting to follow this path. A Fine Arts degree tends to feature several different areas of the arts, such as Acting, Ballet, and other artistic skills. If there is a Dance program in your school, this would be more concentrated on Dance and would be a good thing to focus on. If you decide you do not want or need a degree in Fine Arts or Dance, take courses instead. Anything you can do to learn the basics and primary skills needed by a Dancer will increase your chances of being successful. Like any artistic field, it is highly competitive if you want to be a “star,” so you will have to be prepared for the competition. As a general rule, anything you can do to put yourself “above the crowd” will open doors for you. Like the show you are in, you must “stand out” and be a star. So show them your stuff! Having an audition tape handy to show prospective directors for a show you want to star in, will always be to your advantage. 1) Try out for shows. The more you get your talents out there, the better your chances are you will be noticed as a professional dancer. Enter contests, audition, and do everything you can to stand out. There are thousands of people who want to be in this exciting profession. Find a way to stand out and you can be a star. This also builds your career portfolio, which is the next step. 2) Build a portfolio. As you get more and more shows, build a portfolio of your work. Have a family member or friend record the events (both audio and video) and take photos of your performance. Later on, you will go through these and pick out the best ones to show to directors casting shows, or to an agent later. 3) Get an agent. If you just want to dance in company or community theater shows, this step is not really necessary. But if you plan to make a career out of dancing, you will want to get an agent. Find someone who considers your success just as important as his own. A good agent can get you new gigs, and promote you in ways you can’t do yourself. 4) Get a website. Just like a business, an artist must promote their talents. Get a website or blog, and a Face Book page showcashing your talents. Post videos of recent performances and network with others. You’ll be surprised at the result you might get. 5) Stay in shape and expand your talents. Unlike some artistic professions, you can’t let yourself go physically if you are a dancer. So keep fit and stay in shape. Eat right, and take care of your body. Also explore the possibility of learning to be a choreographer. Many dancers segue into this as they get older, so they can still work in the business when the physical demands become too much for them. Dancing is a profession in the arts which can be highly rewarding over time. While the physical demands are often strenuous and difficult, the rewards can pay off big if you stick with it. Like any career in the arts, the competition is fierce and you will get more rejections than acceptances. But keep at it. Every artist who ever started has gotten more doors closed than open. Keep knocking until one opens, and then dance like there’s no tomorrow! Here are some links for some additional information on the field of Dance.